Part one of this tutorial was posted on Monday. Today we are picking up right in the middle! 6. 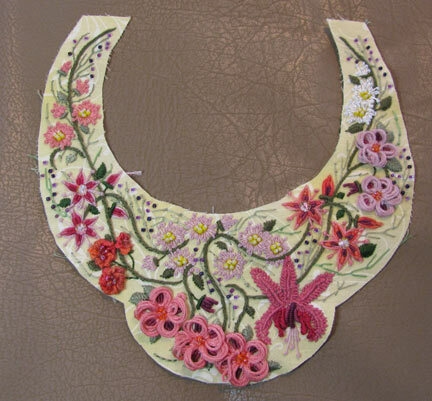 Lightly glue the necklace to the backing fabric (ultra-suede or similar fabric), and cut out even with the top. 7. 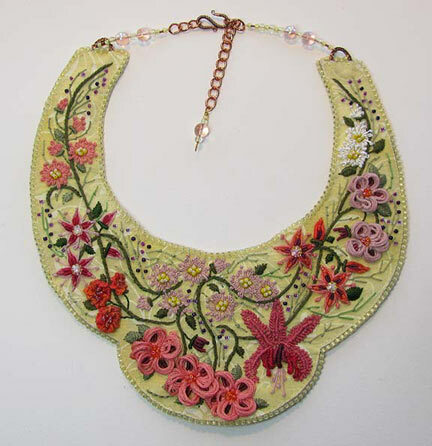 Stitch an oval ring to the top of each side of the necklace, placing it between the layers of fabric. 8. Use edging brick stitch to attach the back to the front. 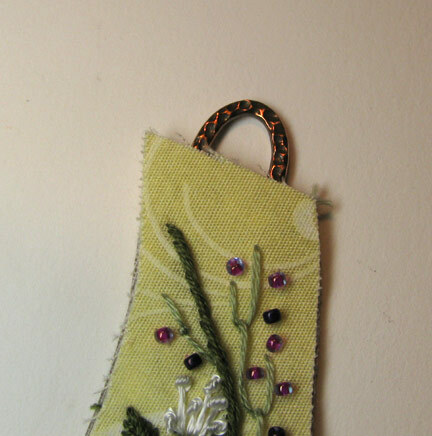 Instructions for this stitch can be found in the free introductory chapter of my bead embroidery e-book. 9. 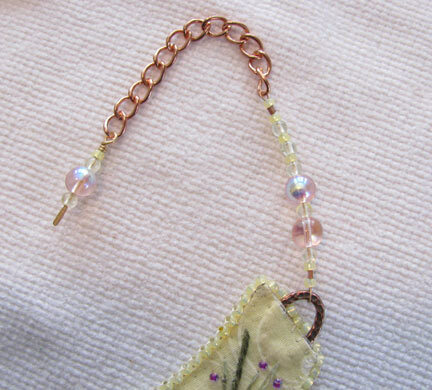 Create beaded straps, using beading wire, crimp tubes, and finishing with a piece of chain. 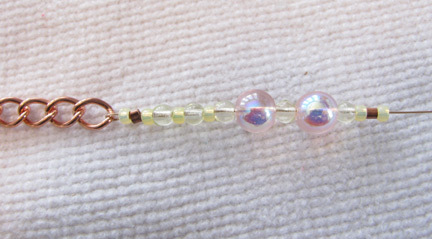 Attach a beaded dangle to one end and an s-hook to the other. Lovely! I can't wait to try it out. 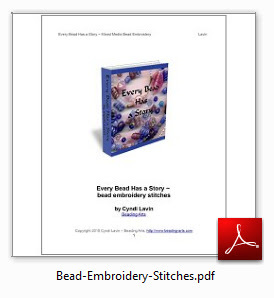 Also, thank you for posting the e-book on bead embroidary, I love it!